Blizzcon is coming! And we’ll be there! The Twisted Nether Blogcast is proud to announce our second TNB Meetup! 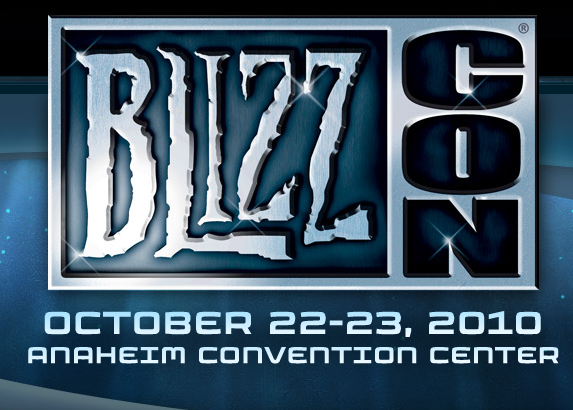 Going to Blizzon 2010 or just coming to the Anaheim area on Oct 22? Join us! Send an email to info@twistednether.net to let us know if you are coming! We are also looking for “door prizes” to give away during the event. If you would like to contribute something let us know. If you are attending the event you don’t even have to ship it to us, just bring it with you! We’ve got some great stuff to give away already (see below) but there is always room for more. You have to be present to win, so don’t forget to pick up your ticket when you get there and hang on to it.. Oh yeah, and don’t.. go.. anywhere.. Oh.. And there will be some special SURPRISE items we’ll be giving away that are pretty sweet! If you are on Facebook, you can also show your support for the event there. We have an event page up! Not going to be at Blizzcon or in the Anaheim area on the 22nd? Well, join us in our normal UStream Channel. We’ll be “trying” to stream the event LIVE there. Video will be included and some of the guests might just sit down and have a little chat! We’ll also be giving away at least one or two things to the people who show up in the chat room while we do our giveaway! In addition to all this party stuff, we will, of course, be LiveBlogging the convention. We’ve got live blogging service set up for both days and you can check them out in the Blizzcon 2010 menu at the top of the site. We’ll be sure to get a post up pointing over there as it gets closer! Herc the Merc – Our Queue Buster Haiku Contest winner! Immamoonkin – Designer of our Blizzcon 2010 TShirt! Daewin – Polygamerous Podcast, etc. Soneybaby and some Peeps (including @ActiveNick) from BigCrits! TNB Blizzcon TShirt (1) from … TNB! Another Super Secret item from the Blizzcon Store!